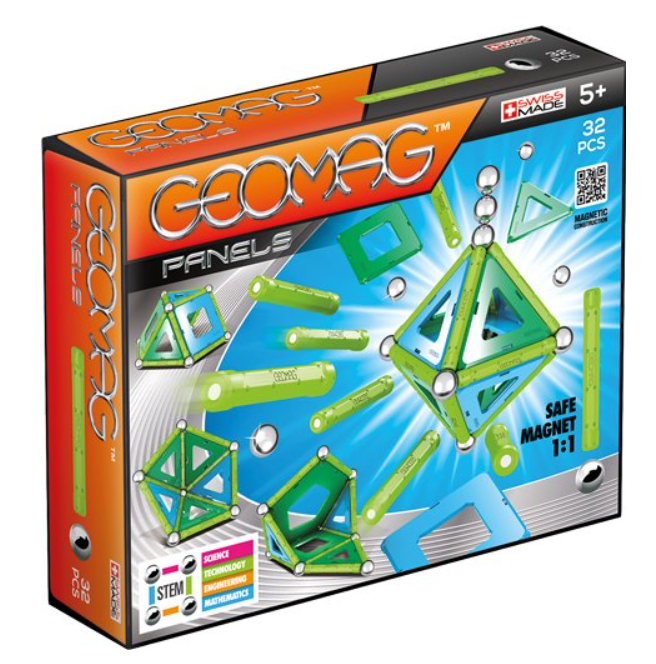 The Geomag Panele starter kit is the perfect introduction to the world of Geomag Panels! 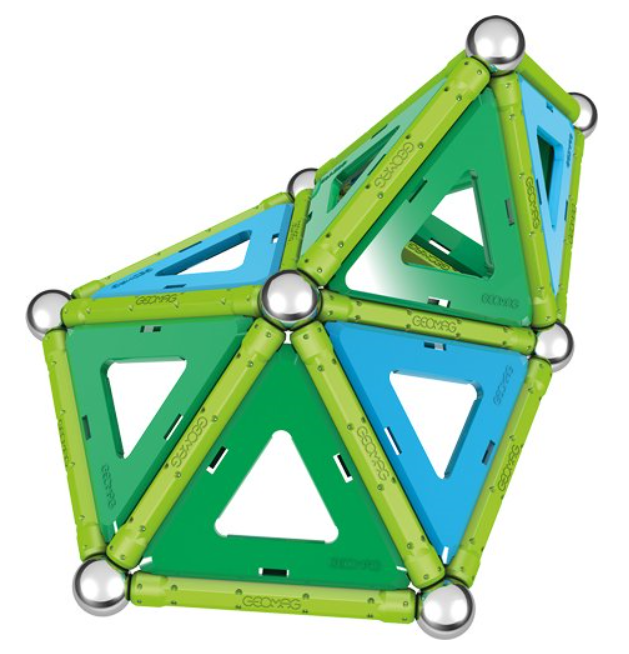 It comes with 12 green rods, 9 non-magnetic steel spheres, 11 blue and green plastic panels in different shapes: 8 triangles, 2 squares and 1 pentagon. Add Geomag Panels to your Geomag collection and you will bring new life to your Geomag. A Geomag accessory guaranteed to capture your interest and stir your imagination. Geomag Panels will enhance your Geomag and offer new stability, versatility and design potential it is an inventive system of simple construction made of rods and spheres produced in Switzerland. A huge number of shapes, geometric figures and models of every kind can be constructed. The variety of the shapes and their transformations make it possible to renew structures continuously. Geomag world SA is the manufacturer of Geomag toys. All products are designed both to entertain and to stimulate imagination and curiosity. Geomag toys can also become an amusing pastime for the whole family, reuniting parents and children in an activity of extraordinary creativity. It is produced in line with the strictest criteria of quality and safety typical of Swiss products and is manufactured in compliance with stringent European and American safety standards. Not suitable for children under three years. Read carefully and retain. Contains: small parts that may be swallowed and spheres that may represent a choking hazard. Colours and shapes may vary.